The primary reason why Android is the popular OS among mobile users is the unprecedented freedom that it offers. Although there are plenty of customizations that you can enjoy out of the box, rooting pushes your Android even further. The ability to change boot animation on Android is one such feature, which does offer great aesthetic appeal. 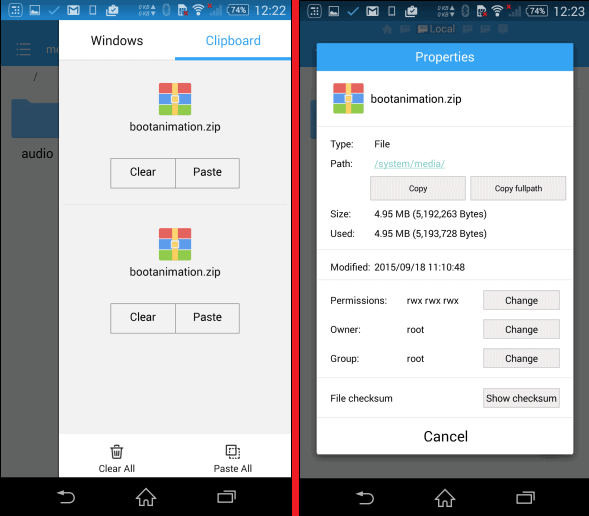 There are two basic methods that you can implement to change boot animation on Android with root access. You can either choose to download the boot animation and install it manually, or use the Boot Animations app. While changing the boot animation manually may seem like a mammoth task, it is as easy as replacing a file. To do so, all you need is a file manager and the desired boot animation, along with a rooted Android device. Start off by installing any of the best Android file managers that come with root permission support. Once you have downloaded the file manager, open it and grant the app Superuser permission to view and edit root files. The second part comes down to downloading the boot animation you want to install on your device. You can find a massive collection of original and custom boot animations on the XDA Forum. Simply download the boot animation file from the XDA Themes section, or AndroidBootAnimation using the link given below. 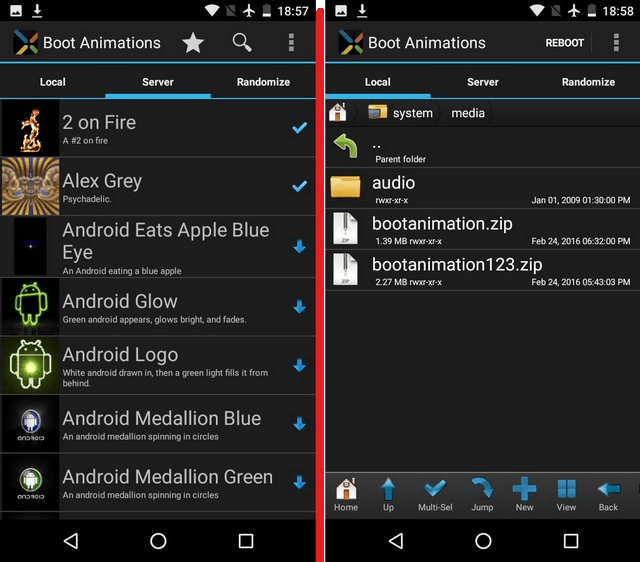 Once you have downloaded the boot animation file, rename it as “bootanimation.zip” and save it to the local storage of your Android. Launch the file manager app, copy the “bootanimation.zip” file and paste it in the System->Media folder and restart the device. This will change boot animation on your device and replace it with the custom one. If you’re planning to keep changing your boot animation every now and then, Boot Animations is the app you need. This app requires root access, and comes with several custom boot animations that allow you randomly customize the boot image. Boot Animations has a file manager built into it under the “Local” tab, which allows you install the downloaded boot files. While the “Server” tab gives you complete access to dozens of boot animations available online. Whereas, the “Randomize” tab ensures a different boot animation every time you reboot the device. You can simply tap on the boot animation, select “Install” and your new boot animation will be installed directly.